HENRY JOHN HEINZ’S BANKRUPTCY | Jeffrey B. Irby, P.C. Surely, Henry John Heinz must have muttered a similar sentiment to himself when he had to le for bankruptcy in 1875. 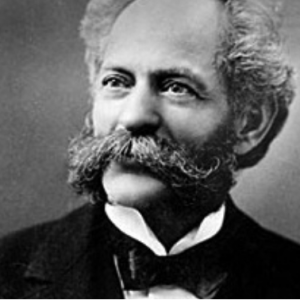 As background: Henry John Heinz was one of eight children born to immigrant parents. At the age of six, Heinz helped his mother in the garden. By the time he was nine, Heinz was making his own horseradish sauce. And by the time he was twelve, he was using a horse and cart to make deliveries. His was a built-from-scratch story of hard work from an early age. When Heinz was just 25 years old, he and a friend started a company that sold horseradish, pickles, sauerkraut, and vinegar. Then something went wrong. Heinz was obligated to pay for a crop, and the crop yielded much, much more harvest than anyone anticipated. The debt from this “bumper crop” overwhelmed the condiment company, and it was forced into bankruptcy in 1875. This is the way life works: Sometimes, we are forced into bankruptcy not because we mismanaged money, but because life isn’t always fair or kind. Sometimes, the unexpected happens: A bumper crop yields too much harvest, a medical emergency leaves us financially strapped, or we lose our jobs due to a downturn in the economy. Remember: This, too, shall pass. This is a bump in the road, but it is not the end of the road. Just as life has its inevitable obstacles, it also has its fair share of blessings. When you are feeling overwhelmed, take a moment to remind yourself of this. Everything is temporary. After filing bankruptcy, Heinz immediately began a new company with his brother and a cousin, and together, they introduced a new condiment: tomato ketchup. Eventually, Heinz would buy out his brother and cousin and re-organize under the name, The H.J. Heinz Company, which in 2013 was purchased by Berkshire Hathaway and 3G Capital for $28 billion.